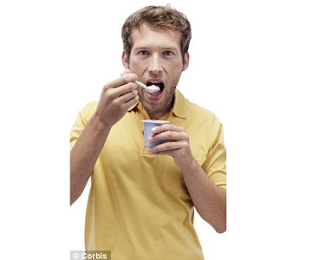 Eating probiotic yoghurt is known to calm troubled tummies - now scientists have found it could boost virility as well. In mating experiments the yoghurt-eating males inseminated their partners more quickly and produced more young than control mice. Yoghurt-fed female mice benefited too - they had larger litters and were more successful at weaning their pups.